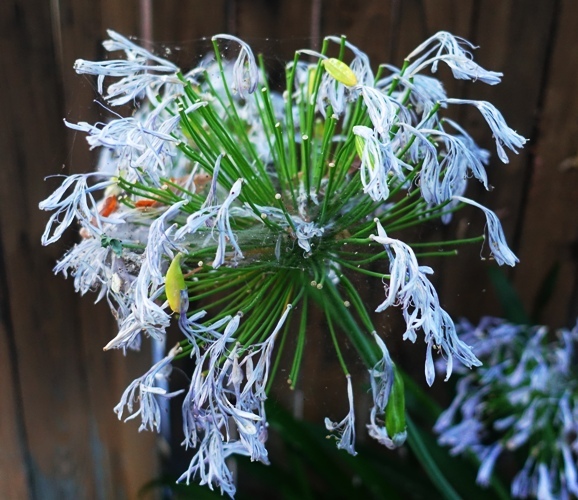 This summer has been hard on my Agapanthus and the blooms have been slowly withering away. Of course it is getting to the time of year when the blooms slowly start to wither. However, the stalks are usually sticking up straighter as the petals slowly dry and fall away. Here the bloom is full of debris and the petals are all dried out. There are not too many seed pods on the blooms this year. Probably because of the prolonged heat waves we have gone through. The blooms look a bit sad, but yet still have a certain type of beauty. It will soon be time to remove the spent blooms and stalks. 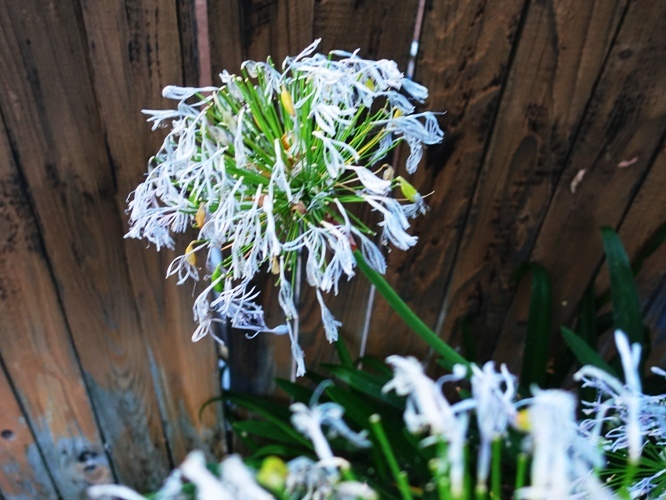 I also need to thin out my agapanthus this year. In fact, this may be partially why the blooms were not as nice this year. I need to do some research to find out when is the best time of year and what is the best method. 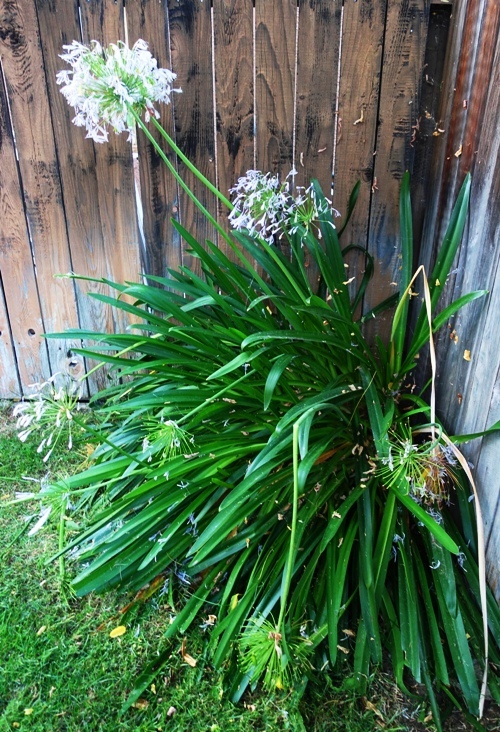 I have picked out two or three places where I can transplant parts of the agapanthus. 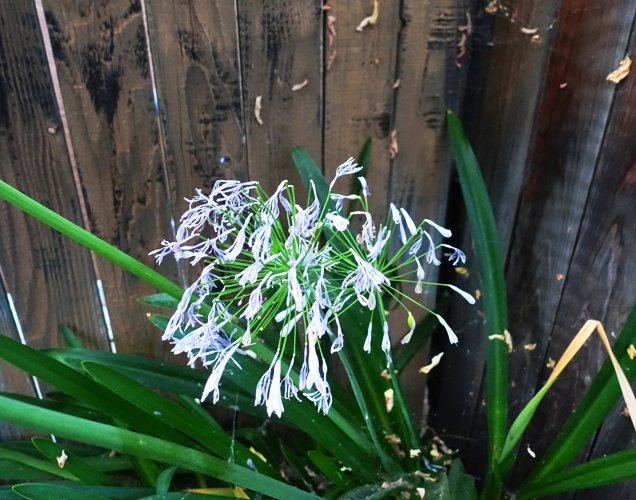 This entry was posted in California, Flowers, Nature and tagged Agapanthus, Agapanthus africanus, blooms, thinning flowers, withered flowers, Yard Work. Bookmark the permalink.